Huawei has officially launched the Ascend P6 smartphone in India. The phone has already earned name, specially because of its Slim design. It features 4.7-inch display with 1280x720p resolution and 1.5 GHz quad-core Huawei K3V2 processor. The screen of the phone is built on in-cell technology that makes the touch responsive even with wearing gloves. At the back of the handset there is 8MP back camera with LED flash, BSI sensor and 5MP front facing camera. Talking about the memory, there is 2GB of RAM, 8GB of ROM and further you can expand storage via micro SD card slot. The Ascend P6 runs on Android 4.2.2 Jelly bean OS and it is just 6.18mm thick with 120 grams of weight. It houses 2000mAh battery and has 3G, 2G, WiFi dual band, Bluetooth v4 & GPS connectivity options. The phone can record Full HD 1080p videos and supports the playback as well. 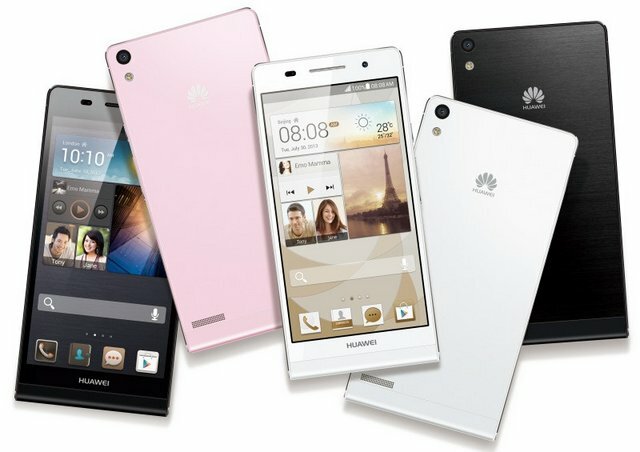 The Huawei Ascend P6 comes in white and black colors. The MRP of the handset is RS 30000, but the handset is available for a Price of RS 25,700 from online stores.